Rab ALED Series Type III Distribution LED High wattage area light fixture in bronze color, has die-cast aluminum construction with polyester powder-coated finish. Specular vacuum-metalized polycarbonate reflector ensures even and bright illuminations. 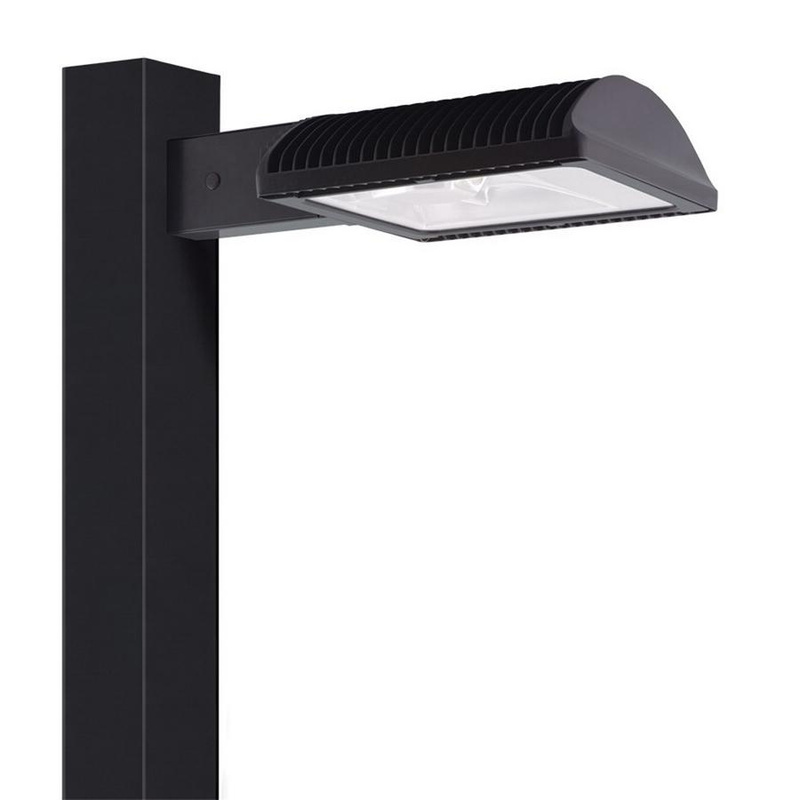 This fixture employs one 78-Watt LED lamp with average lifespan of 100000 hours, which delivers brightness of 6911 Lumens. LED lamp has color rendering index of 67 and color temperature of 5100K. Lamp has voltage rating of 120-Volts. This light fixture features thermal management system with external airflow fins for long lasting service life. It measures 23.4-Inch x 15-Inch x 4.5-Inch. It comes with high temperature silicon gasket, lens frame and mounting arm. This light fixture operates at -40 to 40 deg C. It is suitable for roadway, general parking and other area lighting applications where a larger pool of lighting is necessary. Light fixture is UL listed, IESNA tested, Design Lights Consortium qualified and Dark Sky approved.